Hero Arts 42 Accent Pearls LIGHT YELLOW CH198 at Simon Says STAMP! 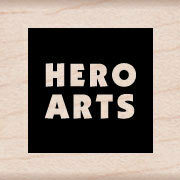 Success, Hero Arts 42 Accent Pearls LIGHT YELLOW CH198 has been shared! Two sizes of lustrous light yellow pearls. A package of 42 smooth, rounded pearls, with acid-free adhesive. Peel off the self-adhesive pearls and place on handmade cards and scrapbook layouts to add some bling!